Reliance Jio was free and unlimited once when it was launched. Now you need to recharge your number to enjoy using the Jio 4G services. There are a number of data plans available which provides a limited amount of 4G data daily. If you have exhausted your daily data usage limit, your internet speed will be limited to 128kbps. It's important to note here that there is no trick to increase the Jio 4G speed after 1.5GB limit. Reliance Jio has a very tight data security, so don't even think you are smart enough to steal data from their servers. Even if you use VPN, it won't work as Jio can track who you are. You will find tons of tutorials on Google which claims to increase Jio internet speed after 1.5GB limit using APN settings. APNs (stands for Access Point Names) are used to establish the connection between your device and network. It has nothing to do with the internet speed. Now if it's impossible to increase Jio 4G speed after 1.5GB limit, then this tutorial would be pointless. Right? Actually, not. You can't increase Jio 4G speed but you can optimize your phone to get the most internet speed possible out of 128kbps. This is what we are going to discuss here. Restrict background data - When your restrict background data, it will stop apps and services from running in the background. You will find some boost up in your Jio speed as only one active app will have access to the internet at a time. This will also reduce your data usage. 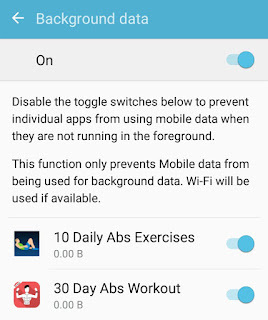 You can restrict apps background data from Settings > Data Usage. 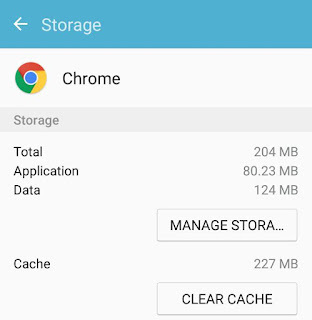 ‎Clear browser cached data - If you are experiencing slow Jio speed in a particular app or browser, simply clear its cached data. This will improve the app performance and browsing speed as well. To delete any app cached data, go to Settings > Applications. Now open the app and click "Clear data" button under storage section. You can delete system cached data from Settings > Storage. ‎Improve browsing experience - Site's performance plays an important role in the browsing speed. If any site is not performing well due to heavy traffic (or any other server related issues), it will take more time to load. You will end up blaming your internet connection for slow speed, but that's not actually true. There are few things you can do to improve your browsing speed. You can use UC Browser app for fast downloading and internet surfing. UC Browser can help you save a lot of data by compressing web pages. You can also load Facebook, Twitter, Google and other sites in light-version. Google Chrome also has data saver option which can compress data pages that you visit before downloading them. To enable this data saver mode, go to Chrome Settings > Data Saver and switch on the toggle button. 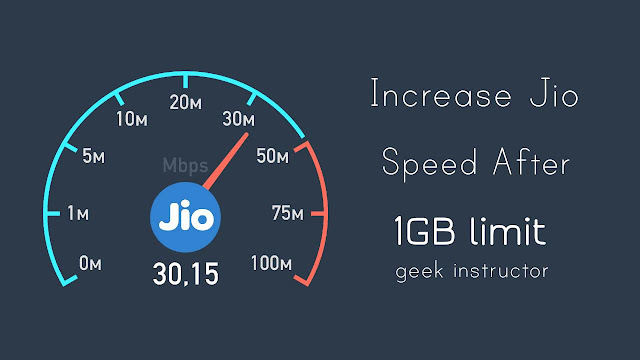 ‎Use internet speed booster app - There are a number of third-party apps available on Google Play Store that can help you to increase Jio internet speed after 1.5GB limit. Internet Booster & Optimizer is one of the most popular apps in this category. This app claims to increase internet speed by performing a series of automatized tasks which includes pausing the apps running in the background, cleaning RAM and cache memory, flushing the DNS and more. Most of the speed booster apps available on Google Play Store are spam. We don't take guarantee whatever they will work or not, but it costs nothing to try them once. Find Jio signals in your area - It's obvious that internet speed depends on the network strength. Even a slight change in your phone's location can affect internet speed. ‎Turn off auto-update, auto-sync, auto-backup and other similar features as they are always working in the background and consuming a lot of data. So these are some useful tips & tricks to increase Jio internet speed after you have crossed 1.5GB daily data limit. If you want to ask something about this tutorial, feel free to share it in the comment section.